Phil Smith has taken a life-long passion for flying and turned it into his career. As an Aviation Structural Mechanic working on P-3 aircraft out of the Naval Air Station Whidbey Island located in Washington State, Phil learned aircraft from the inside out during his 4 years of active duty service in the US Navy. Adding to his experience in the Navy, Phil serviced aircraft at Bradley International Airport (KBDL) while working for ASIG, giving him a unique perspective of both military and civilian aircraft. Phil has supplemented his hands-on knowledge of aircraft with his studies at Embry-Riddle Aeronautical University where he received his B.S. in Aeronautics. Based on his love of flying, his practical and theoretical background in flying, and his certifications Phil now helps others achieve their goals of becoming certified pilots. Phil spent the summer of 2016 teaching students in a 1946 Piper J-3s on straight floats. Phil is a certificated Commercial Single Engine Land/Sea (CASEL/S), Commercial Multiengine Land (CAMEL), Certificated Flight Instructor (CFI), Multi Engine Instructor (MEI), and Certificated Flight Instructor Instrument (CFI-I). 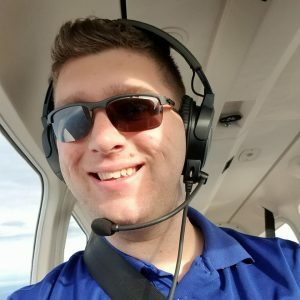 Phil currently works full time for Gama Aviation LLC in Shelton, CT in the Operations department as an Operations Controller while building Learn 2 Fly CT, LLC. Doug began flying at the age of 12. Since then he has earned his commercial single and multi-engine land certificates with instrument rating. Doug became a flight instructor in March 2018 and immediately added CFI-I and MEI addons to his certificate. He has also been a member of Civil Air Patrol since the age of 13 and is still an active member to this day. He also worked at Bradley and Tampa International airports as a Fuel Supervisor, running all airline fuel operations on the airport. 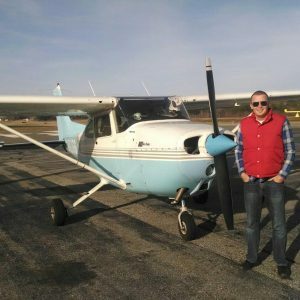 He is currently working towards a career in corporate aviation but loves teaching and getting new people excited about the awesome world of aviation.